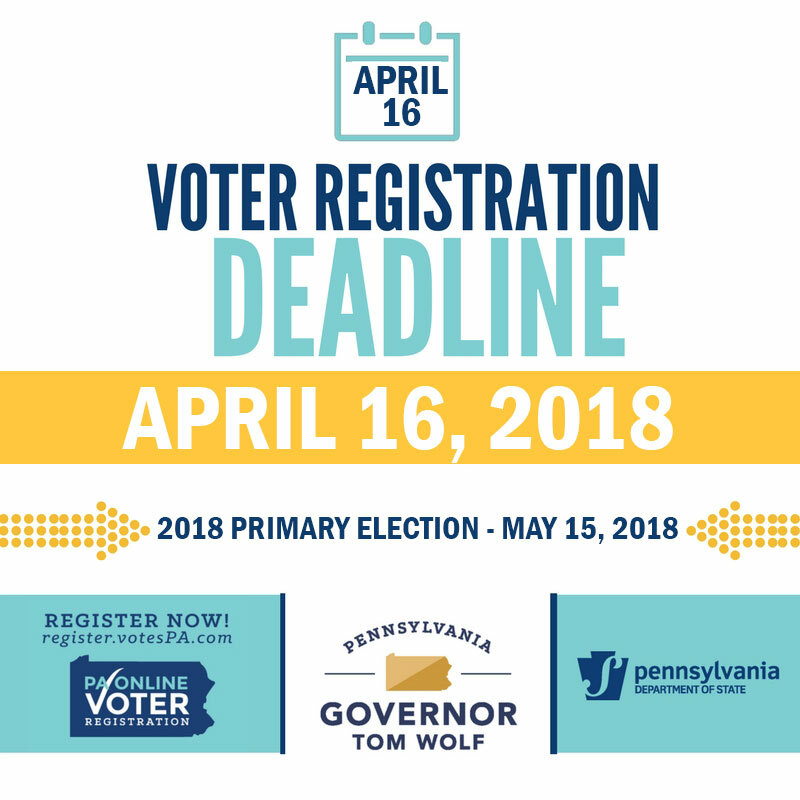 On May 15, you can vote for a primary candidate to become Pennsylvania's Governor and Lieutenant Governor. You can also vote for candidates for the US Senate, US House of Representatives, State House of Representatives, and some state senators. There may be local races as well. You may be able to find a list of people running for office at Ballotpedia. If you are a first-time voter, submitting an absentee ballot, or voting at a new polling place, you should bring an approved form of identification. To see all approved forms, visit the PA Department of State voting website. Acceptable forms of identification for absentee voters are available here. In Pennsylvania, voters must be registered 30 days prior to each election. 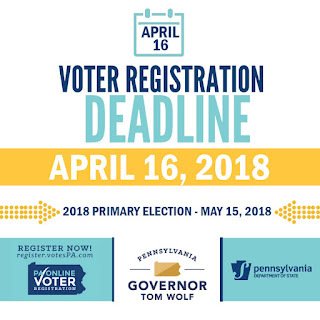 If you are not sure if you are registered, you can confirm your registration status in the Pennsylvania voter registration database. If you are not registered, please register today. In Pennsylvania, you can now register to vote online, or you may register in person with your county or by mail. In the primaries, Pennsylvanians can only vote for members of their own political party. Please keep that in mind as you register and prepare for voting. To vote in the primaries, you must also be registered and enrolled in a political party to vote in that party's primary, although all registered voters can vote on Constitutional amendments, ballot questions, or special elections if they are occurring during the primary election. For more information, please visit VotesPA.org. All voters may bring a list of candidates on the ballot and/or a list of key issues or specific proposals that are on the ballot.